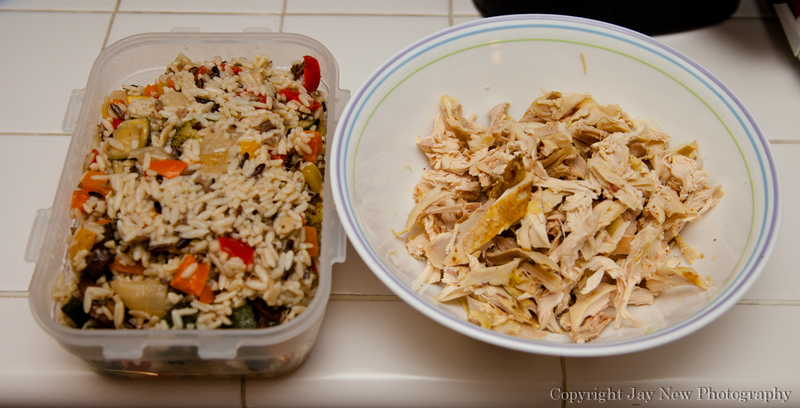 Cornish Hen Fried Rice – Or how the leftovers were eaten. For Christmas dinner, I had made 6 beautiful Cornish Game Hens, using the spices from My Indian Style Chicken Marinade (minus tomato sauce) and Vegetable Wild Rice. It was a feast and everyone enjoyed. As in any feast, there were plenty of leftovers. My mother took home some of it and I kept some for my husband and me to eat. It turns out that we had enough leftovers for more than 2 meals. I hate letting foods go to waste. Especially if the only reason why the food is still there, is because it is a leftover. I try to freeze what I can and make something different out of what is left. So needless to say, tonight we had Cornish Hen Fried Rice from our leftovers. 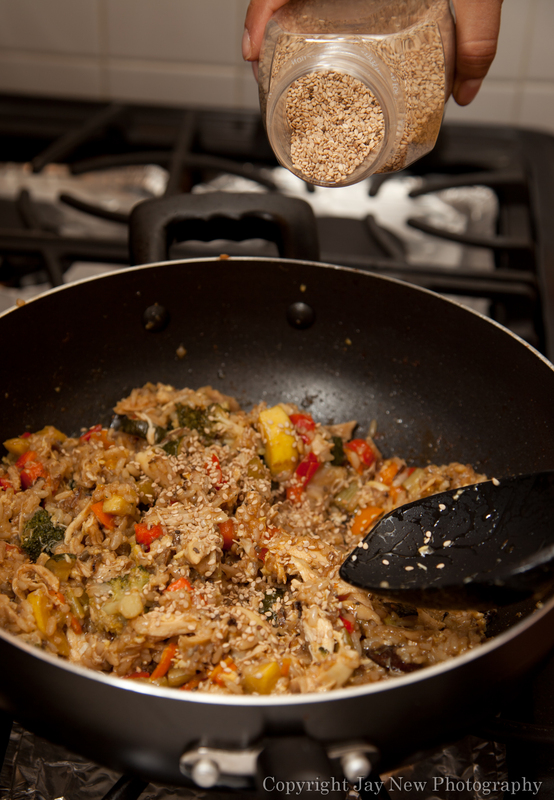 This is a great way to get rid of leftover rice and meats. 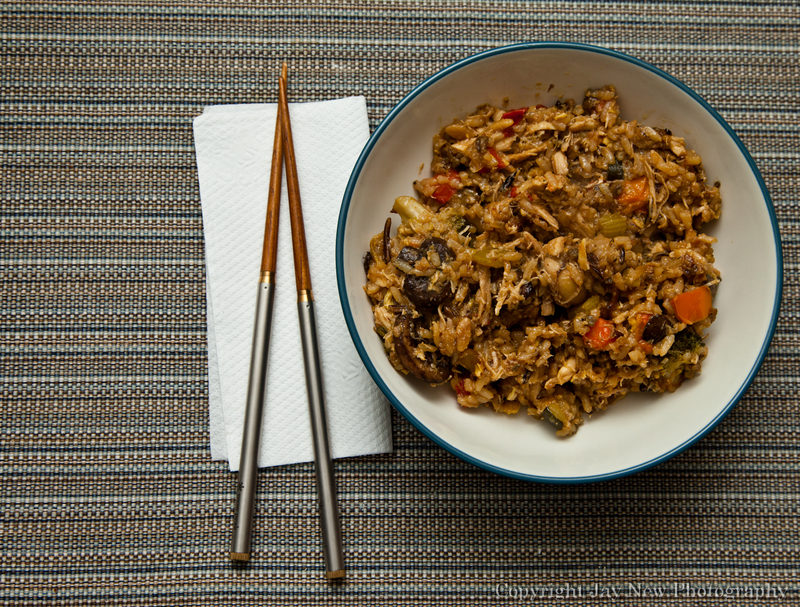 Every different style of leftover will give you a varying taste in fried rice. You can season it to your taste. Key to this recipe is a very hot pan. If you add too much into the frying pan, you will not get a crispy fried rice. In a large frying pan or wok, heat cooking oil and saute chopped garlic on high. Add your rice and stir to remove excess moisture. Make a space in the center of the rice and pour an egg. Season it with some pepper and stir until you get a scrambled egg. Allow rice to become golden brown, flipping rice over in the pan frequently.